Before they were No. 1 NFL Draft picks, did these players live up to or exceed their respective ranking in the college football recruiting process? Every year, the college football recruiting process sees a few thousand players make the jump from high school. Some are more regarded than the others, leading to a disparity in how much college football fans hear about them or where they attend school, whether it’s in the Power 5 or the Group of 5. Amongst these recruiting processes, there’s future No. 1 NFL Draft picks. Some of them were at the top of their recruiting class, while others were not heard of in high school. Performances on the college gridiron changed that, resulting in a successful move to the professional level. Was this the case for any of the past 10 No. 1 picks in the NFL Draft? Did one player start from the bottom and rose to say “I’m here?” Let’s look at this, with all rankings being taken from 247Sports.com. 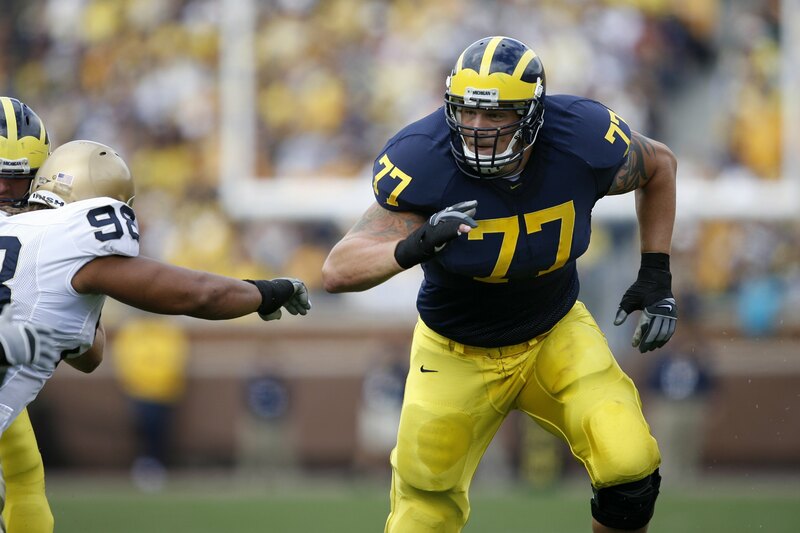 Before the Miami Dolphins made offensive tackle Jake Long the No. 1 pick in 2008, he played four years at Michigan for head coach Lloyd Carr. Long was recruited from Lapeer East Senior in 2003 as a four-star player, ranking No. 106 in the nation, No. 8 at offensive tackle and No. 4 among Michigan prospects in his class. Even though being the No. 8 offensive tackle in the 2003 class was a quality ranking, it did not foreshadow Long becoming the No. 1 pick in the 2008 NFL Draft. It meant he played above his ranking and delivered as one of the best left tackles in college football, earning the No. 1 spot in the NFL Draft, even if it led to a career of injuries and retirement at age 31. When quarterback Matthew Stafford committed to Georgia in 2005, big things were expected out of him. Former Bulldogs head coach Mark Richt plucked a five-star player that was ranked No. 6 in the class of 2006 — someone that was labeled a pro-style quarterback and set to lead the program for the next three years. Stafford had a quality three-year run at Georgia before the Detroit Lions selected him No. 1 overall in the 2009 NFL Draft. The Dallas, TX native became one of the NFL’s best signal callers and remains this after the 2017 season. Stafford’s recruitment out of high school was an indication of a bright future, one he fulfilled in college and high school. It’s safe to say he fit the ranking as one of the best players from the class of 2006.